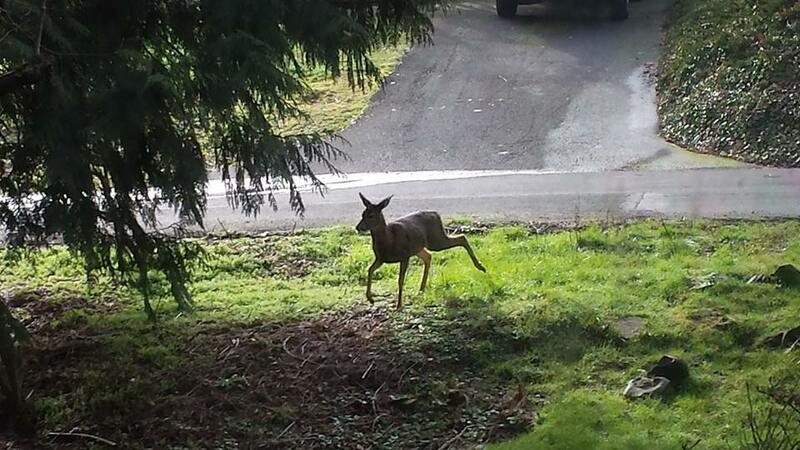 headed straight into our woods. 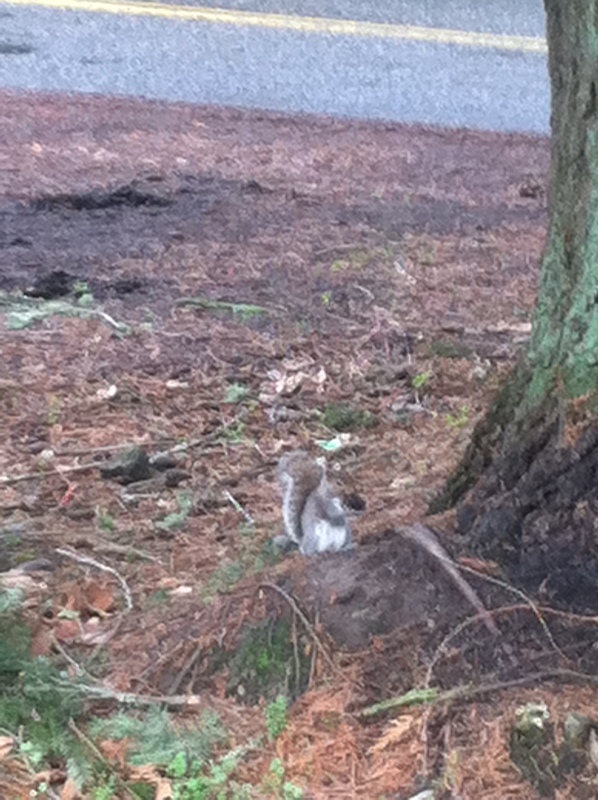 Along with Mr. Squirrel who camouflages quite well in our front yard. Sent the kids on a hunt to find a variety of greens in our backyard. 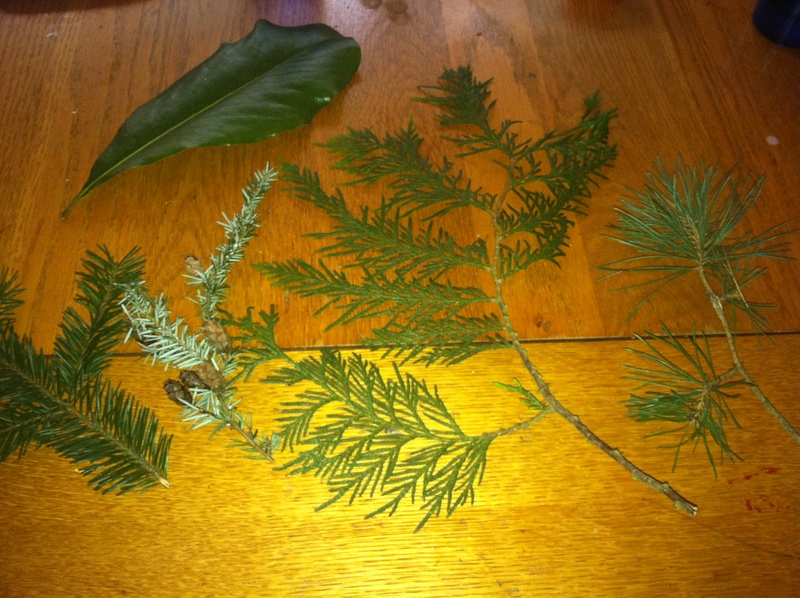 Fir, cedar, & pine seems to be the common ones. pinecones, seeds, insects, and watch for any signs of spring. just what childhood memories should be made of. 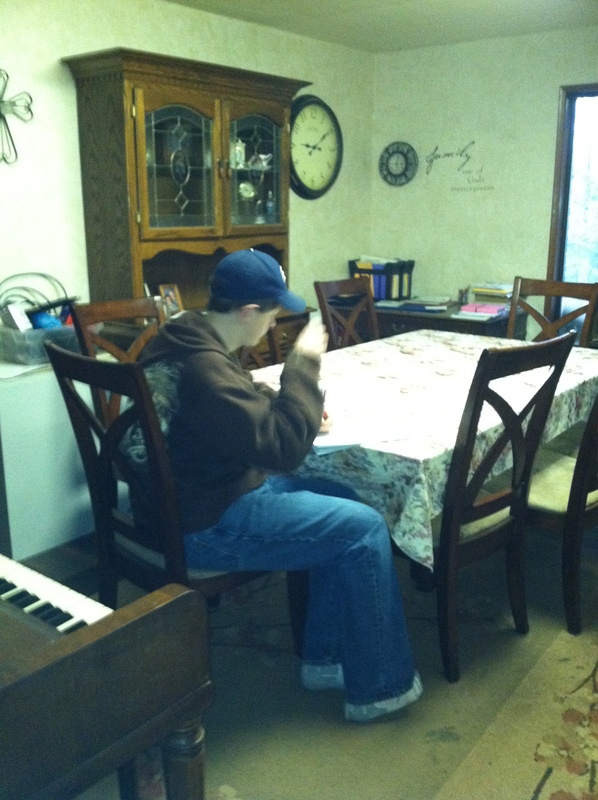 TJ (16) sneaking in his math studies early in the mornings this week. We bumped him back into Algebra after taking a few weeks to review the basics. 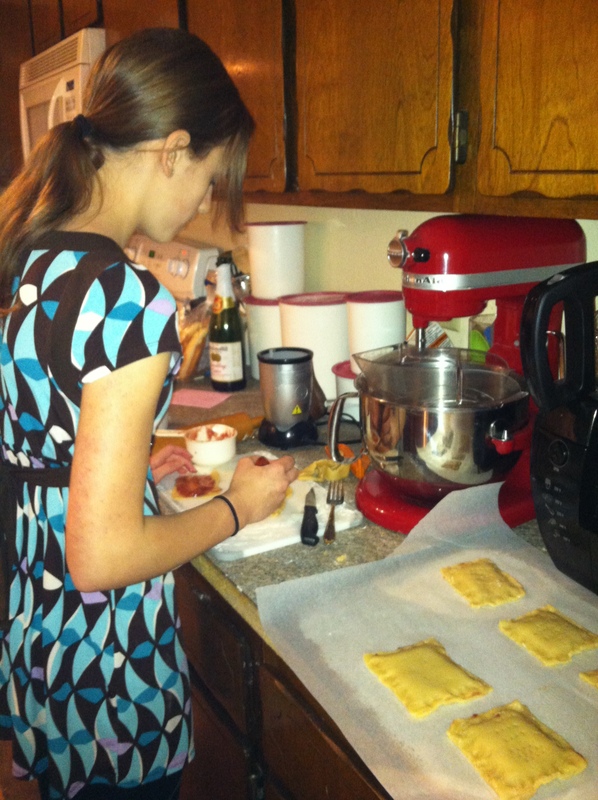 Katie-girl (12) spent some time making homemade pop tarts. We are wrapping up our study of Benjamin Franklin this week. We have enjoyed the many facets of his brilliant personality. We are taking the time to watch the Bill Nye vs Ken Ham debate this week. We finished our 1st chapter book read aloud of the Boxcar Children. 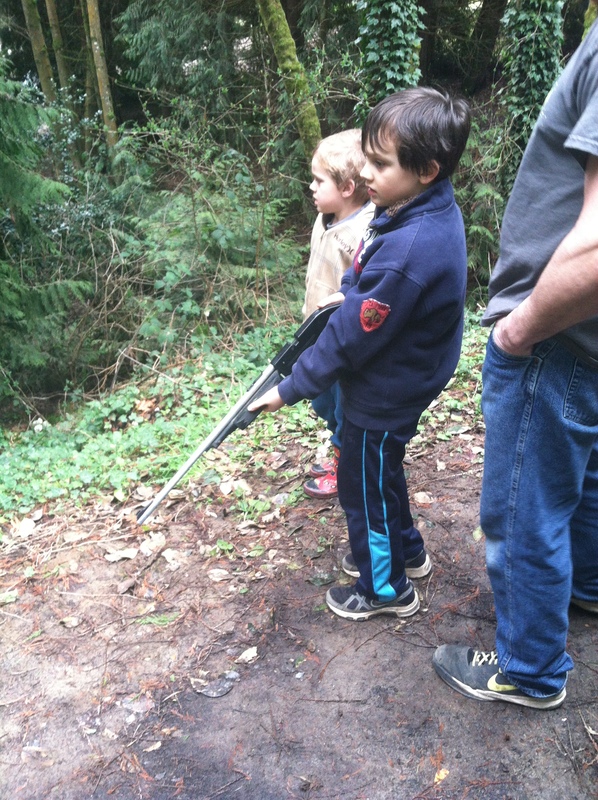 The boys have loved it, especially because we have the woods that they can use their imagination in. Hoping we can build a fort for them this summer! I’ve had to separate the boys during lesson time. Andrew needs to stay more focused and Bryson is a bit too rambunctious (to say the least). Overall we are tweaking our schedule enough that I am going to create a new Rhythm Chart. I also hope to share our homeschool study areas with you all soon. 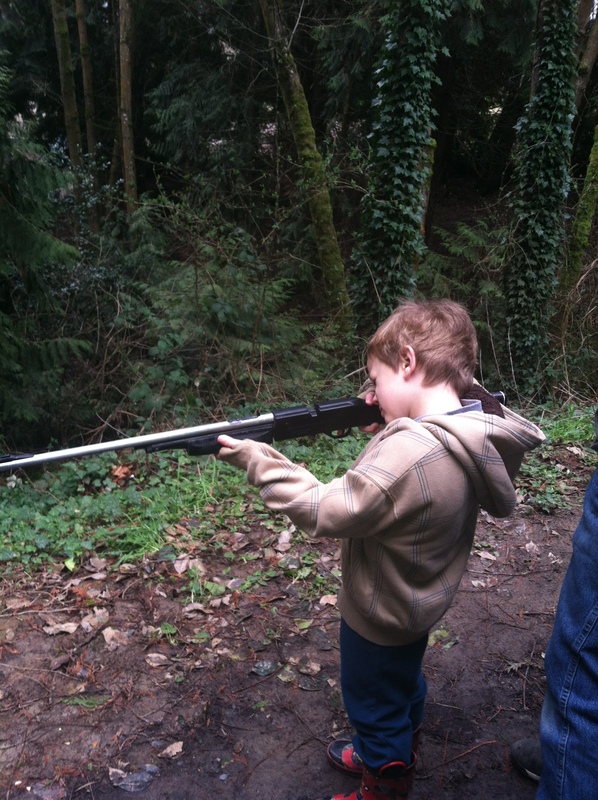 I love showing that regardless of your house and circumstances, homeschooling can be an option. We have moved 5 times in 5 yrs and all our school areas (in our home) have been greatly different. Until then… have a beautiful week.